One of the more recent buzzwords in the health and fitness worlds is “antioxidants,” but did you know that these compounds can be used as weight loss supplements along with a diet and exercise plan? Antioxidants are simply molecules appearing in many types of food that help fight the oxidation of other molecules in the body, preventing the formation of free radicals that can damage body cells. For several years now this preventive ability has been touted as an anti-aging solution, as the damage to our cells can also damage their DNA, leading to the possible development of diseases, including cancer and diabetes. 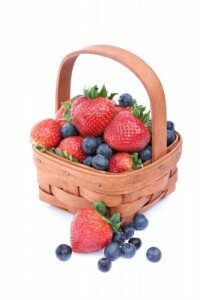 Antioxidants also protect the skin from wrinkles and sun damage as well as reducing risk of sunburn. Commonly found in a variety of fruits and vegetables, antioxidants clearly provide unique health benefits from which we can all benefit. However, there’s another great reason to include them in your diet – they can help you lose weight. To be clear, antioxidants themselves do not actually accelerate the weight loss process. But they fit the bill perfectly as weight loss supplements – in other words, you might use them alongside a diet and exercise program to give yourself a little extra edge in your weight loss journey. Antioxidants prove their health benefits to dieters as soon as the weight starts coming off. When our bodies burn fat, the molecules become oxidized, which leads to the release of free radicals. A diet healthy in antioxidants will mitigate the increased number of free radicals that are released as the dieter loses fat, protecting him or her from the ill effects that could result. Antioxidants will also help reduce the amount of potentially toxic compounds in the body that are released as a result of the heavy exercise that often accompanies a weight loss program. Making sure to get enough antioxidants will also aid in replacing the nutrients that are used during muscle growth. A 2007 study, “Effects of Flavonoids and Phenolic Acids on the Inhibition of Adipogenesis in 3T3-L1 Adipocytes” published in the Journal of Agricultural and Food Chemistry and reported by Science Daily, found that certain antioxidants actually reduce the number of triglycerides formed by fat cells in mice, but only more testing will determine if the same holds true for humans as well. In addition to the unseen health benefits of foods rich in antioxidants, it’s also a great idea to get enough of these foods because they tend to be healthy in general. For example, some of the foods containing high doses of antioxidants include soybeans, oats, corn, walnuts, berries, spinach, and Brussels sprouts. These foods make great between-meal snacks or sides for a full meal, making it easy to stave off hunger, provide the body with a range of nutrients, and get a sizable dose of antioxidants as well. Antioxidants are also available in forms more common to weight loss supplements, such as pills and powders, but the jury is still out on them; it’s most likely quite adequate to get a decent serving of antioxidants from the food you eat, bypassing the need for an extra supplement. While antioxidants don’t do anything to actually increase the rate of weight loss, they do function quite nicely as natural weight loss supplements. Their health benefits extend beyond just providing protection from free radicals since they’re mainly found in healthy foods, making them a good choice for any dieter regardless of his or her goals. If you’re ready to start a weight loss program where you will enjoy great wholesome food with plenty of nutrients and great menus, click here. Are Weight Loss Pills Addictive? The history of weight loss pills dates back to the 1930s, when two physicians at Stanford University discovered that the industrial compound dinitrophenol could speed up metabolism in humans. Ever since then, weight loss pills have been a huge part of the diet industry: they seem to present a nearly effortless solution to weight loss. Even at their often expensive prices, wouldn’t it be worth the money if you could just take a few pills to lose weight instead of having to research healthy diets, avoid the temptation of junk food, and spend all that time on the treadmill? Weight loss pills are an extremely seductive solution to the problem of obesity, but they have a very mixed record. Some have been effective, some have not, and some have actually caused death – a prominent example being the fenfluramine and phentermine (fen-phen) combination that rose to fame in the 1990s. While the efficacy of weight loss pills has been in question since they were first introduced, an even darker threat looms behind the promise of easy weight loss: the possibility of addiction. 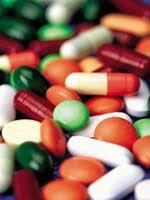 Weight loss pills employ a variety of chemicals and compounds that work in a variety of different ways. Some simply suppress the appetite while others speed up metabolism. Still others prevent the absorption of dietary fat by the digestive tract. While some of the substances used may be dangerous (or have the potential for dangerous side affects) on their own or in combination with others, some of them also have known addictive qualities, and these are the pills that are especially dangerous. Pills that contain amphetamines, tranquilizers, stimulants such as ephedra and caffeine, or phenylpropranolamine can be addictive, especially if they are abused. Dieters can also become psychologically addicted to pills by reasoning that if one or two doses helps them lose weight, then three or four would be an even bigger help. Many dieters begin using weight loss pills responsibly but ultimately ingest more than the recommended dosage, either because they don’t seem to be effective or because they’re very effective. The psychological reward that comes with losing weight can push a dieter to feel that he or she “needs” the pills to lose weight and feel good. Weight loss pills can pose an additional risk to dieters because many non-prescription pills are considered “supplements” and thus are not regulated by the Food and Drug Administration until it has time to study them. Non-regulated weight loss pills pose an especially high risk because it’s impossible for the average dieter to tell exactly what’s in them. They may contain substances that have previously been deemed harmful by the FDA, but are allowed on the market until a judgment can be made that they’re unfit for consumers. The FDA maintains a list on its website of the supplements that it has deemed unsafe. It states that these supplements may contain undeclared ingredients that are harmful to dieters or even prescription drugs in doses far higher than is recommended. There is quite a bit of bad press surrounding weight loss pills, and for good reason: non-prescription pills may contain harmful substances; and even prescription pills may or may not be effective. If a dieter chooses to use such supplements, he or she should search for those that are FDA-approved. The dieter should also be careful to follow dosing instructions carefully, and to seek help if he or she feels symptoms of addiction or withdrawal. At any rate, weight loss pills are no substitute for a sensible diet and exercise plan when it comes to losing weight. If you want to lose weight safely and successfully without diet pills, click here: diet program.